Do you often suffer from a burning sensation in your esophagus and stomach along with bloating of stomach and indigestion? This is called heartburn or acid reflux. Acid reflux is very common and affects every individual at some point of their life. But if this problem persists for long or recurs often it becomes a matter of concern. If you are suffering from persistent heartburn you must have sought your doctor and must be taking the medications prescribed by him. Acid reflux is not as big problem as it seems and little changes in your lifestyle and diet are enough to ease the symptoms. Most important things you need to do is to cut the intake of foods that cause heartburn and indigestion. Let us learn in detail about them. Citrus fruits- If you are suffering from acid reflux cut citrus fruits from your diet. They include grapes, oranges, and tangerines. If you are worried about intake of vitamin C then do remember there are other sources of vitamin C that you may consider such as papaya and pineapples. 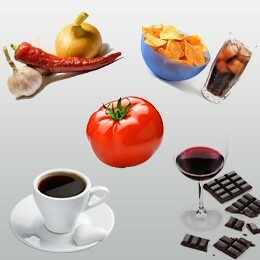 Caffeine– Caffeine products such as coffee and chocolates may trigger heartburn. The reason behind this is that caffeine relaxes the lower esophageal sphincter. Apart from this coffee is acidic. It stimulates the production of digestive juices and makes your symptoms worse. Onion and garlic– They are known to stimulate the secretion of digestive juices and thus makes the symptoms of indigestion worse. They are considered one of the top foods that cause heartburn so better avoid them and look for other alternatives to add flavor to the food. Spicy foods– They come under the top foods that cause heartburn as they trigger the reflux symptoms. Tomatoes– Tomatoes contain citric acid and malic acid. Both of them causes the stomach to produce a high amount of acids, which flows back into the esophagus. Avoid eating a tomato even if they are cooked if you suffer from persistent heartburn. Fatty foods– You must have heard a lot about avoiding fatty foods, especially if you are suffering from indigestion. The reason behind this is that fatty food is slow to digest. As they spend more time in your stomach they give time for the gastric juices to flow back into the esophagus and mouth. Peppermint- It is usually known to soothe and calm the stomach. 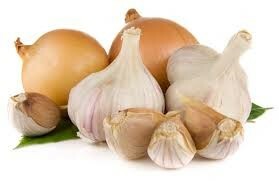 In fact, many people will be surprised to know that it is included in foods that cause heartburn. 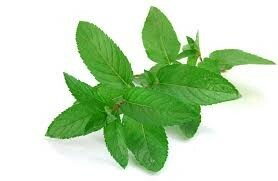 Peppermint is known to relax the lower esophageal sphincter and worsen the symptoms of heartburn. Apart from stopping consuming the above-mentioned foods that cause heartburn you need to take the following precaution mentioned below. Always eat small meals in small intervals. Do don’t lie down or exercise immediately after eating. At least wait for hour or so. Drink lots of water to remove toxins from your body. Do not carry heavy weights as they may cause a hiatus hernia that is a cause of heartburn. Chewing gum after having meals increases the saliva production that neutralizes the digestive juices and prevent acid reflux.